Trade relies on transportation, and the latter relies on port development, as more than 80% of cargoes are transported by maritime transportation. Therefore, one of the important economic reforms of Myanmar’s transport sector is to develop the ports. As the trade is booming, there has been an annual increase in the number of ships calling to Yangon Port, altogether with cargo throughput year by year. The system is designed to manage for the charges by MPA (Marine Department, Traffic Department, Shipping Agent Department, and the other departments) including the charges by organizations other than MPA such as terminal operator, shipping agent, etc. which are also collected by MPA instead, it should be able to issue invoices by department of the charging side and by unit of the charged side. 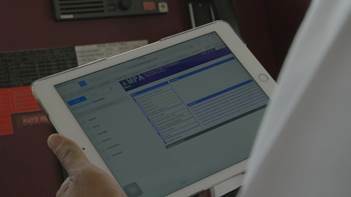 The system is designed to generate regular report/ analytical reports annually, monthly and timely based on users’ requirements after compiling the data from FAL forms of the vessels submitted to the system, data from Port Clearance, Berth allocation, Invoice issuing, Terminal Operation system and the actual results inputted from relevant stakeholders. Sule Terminal which is only one public port under the management of Myanma Port Authority and in Terminal operation system, it is designed to manage automatically for its operation system such as cargo handling for incoming and outgoing vessels, yard planning and vessel planning for the cargoes carried by the system, generating of necessary passes which are needed for port operation by using computerized system.